Chicago, IL – December 16, 2016 – American Street Capital (“ASC”) announced today that it has secured $6 million for the refinance of the Chicago Northside Storage property with over 52,800 sq ft and 500 units in Wilmette, IL. The transaction closed in November, 2016. 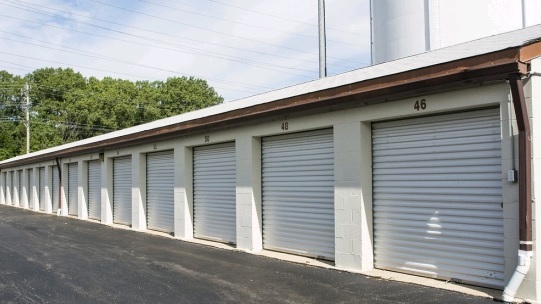 ASC worked exclusively on behalf of the sponsors’ to secure a cash-out/refinance loan for the self storage facility located in the Village of Wilmette which is part of the North Shore suburbs directly north of Chicago. The most recent repositioned facility for Han Capital it is located on 2.26 acres and contains a mixture of indoor and outdoor storage lockers, heated units, on site management, elevator, and over 10 different storage options including the ability to accommodate personal and recreational vehicles. ASC successfully met the sponsor’s request with a 10-year fixed term, non-recourse, and fully assumable loan on a 30-year amortization schedule with a correspondent CMBS lender. Han Capital (“Han”) is a Chicago based regional owner operator of self-storage facilities. Over the past seven years they have quickly established a strong regional presence in the Midwest with assets in Indiana, Illinois, Missouri and Michigan. Han currently manage over 5,000 storage units that total over half a million square feet of rentable space. Chicago Northside Storage is a prime example of their ability to successfully convert a value-add or adaptive reuse property into a modern self-storage facility offering institutional quality amenities.